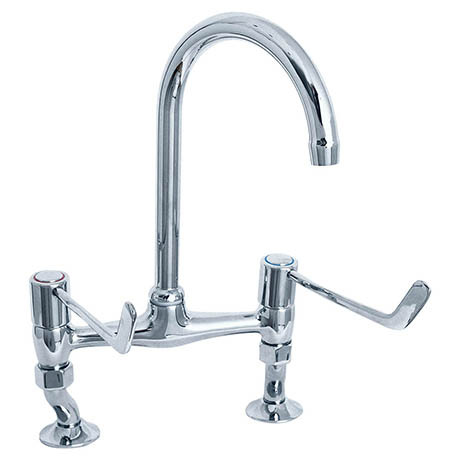 The 6" Lever Bridge sink mixer is a contemporary kitchen tap with a swivel spout and easy to use lever handles. It's cranked legs allow the centres to be adjusted from 160 - 240mm. Manufactured from high quality materials and finished beautifully in chrome. Minimum pressure required 0.1 bar.